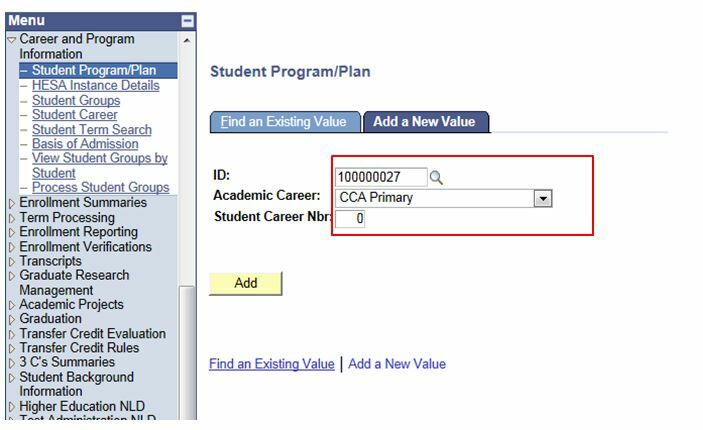 This function allows the users to Admit Students under CCA career. Note: Please be aware that this process is ONLY APPLICABLE to the CCA Academic Careers. Please DO NOT use this process for the School Academic Careers. This process is only to be done once. 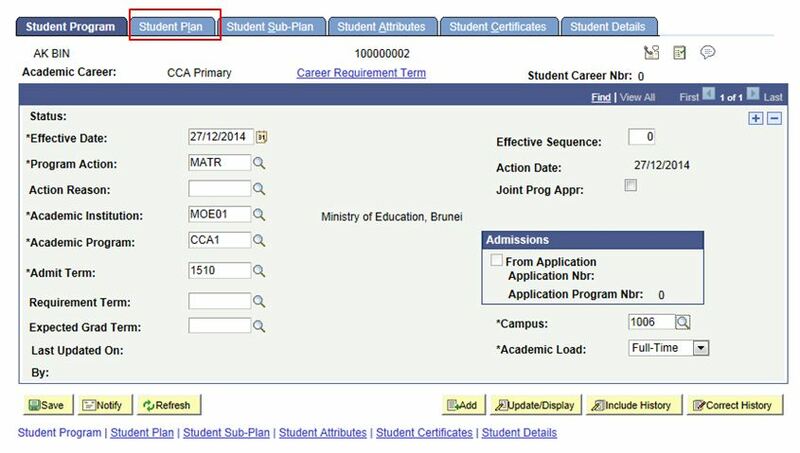 If the student already has the required CCA career, DO NOT admit the student into the CCA career again. 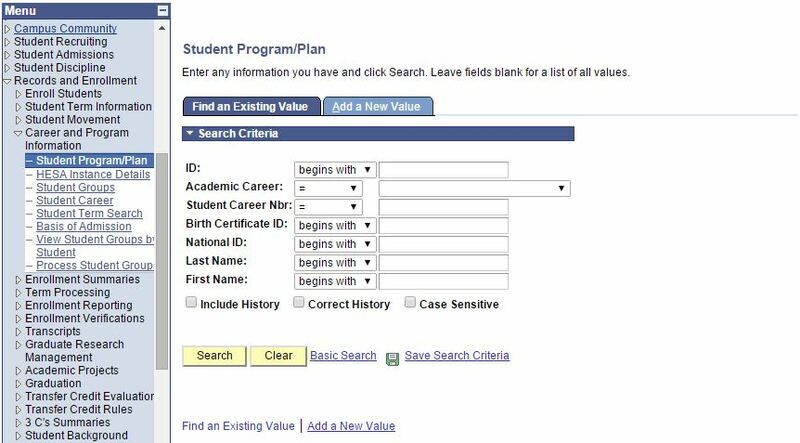 Navigate to Main menu > Records and Enrolment > Career and Program Information > Student Program/Plan. 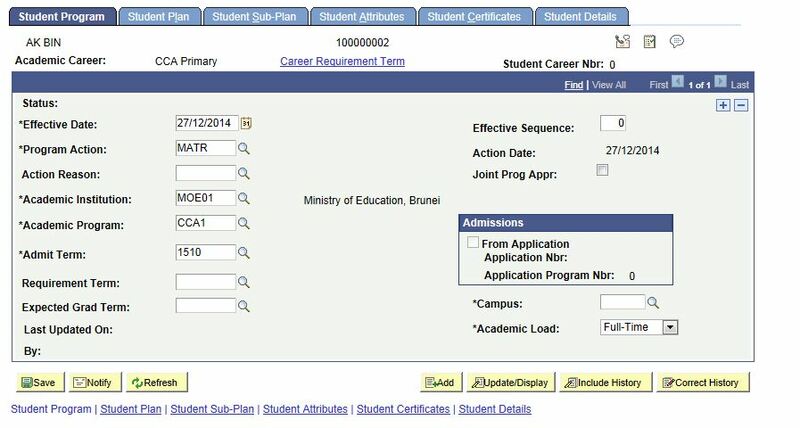 Fill in ID, Academic Career and Student Career Nbr. Note: Click on the Magnifying Glass to prompt for list of student. 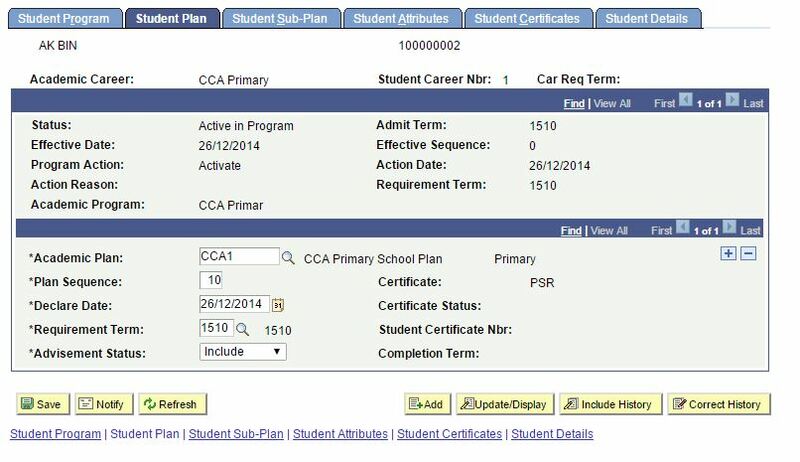 For CCA, Student Career Nbr will be “0”. Acad career should always start with ‘CCA’. 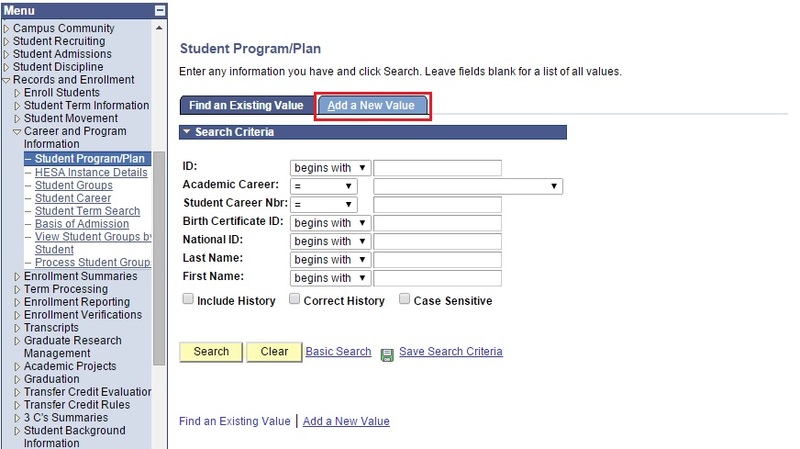 Under Student Program page, change Effective date, specify Program Action, Admit term, Academic Program. Note: The Effective Date must be setup as the Start Term Date and the Program Action must be setup as MATR. The Admit Term will be setup as the term the student is admitted into the school. Click on Campus look-up button to prompt for campus. Click on Student Plan tab. Enter the CCA-related career in the Academic Plan field. If the student is a Primary Student, enter 'CCA1'. 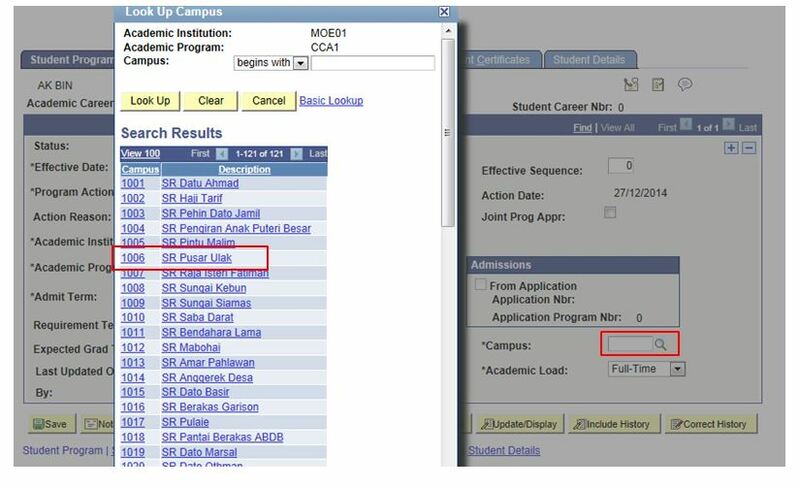 If the student is a Secondary Student, enter 'CCA3'. If the student is a Sixth Form Student, enter 'CCA5'. Click Save button to save all the changes made.